By Jenny Coombs. Published on November 4, 2015. It never ceases to amaze me how few women are hired to work in high-ranking Wall Street jobs when tons of data has proven that they tend to run stock portfolios that outperform all other demographics. Research from efinancialcareers.com, says that women make up just 15% of traders in investment banks, and that percentage drops to the single-digits when you look at hedge funds. This is really a darn shame. Especially when research from Financial Skills notes that women make far better traders than men. 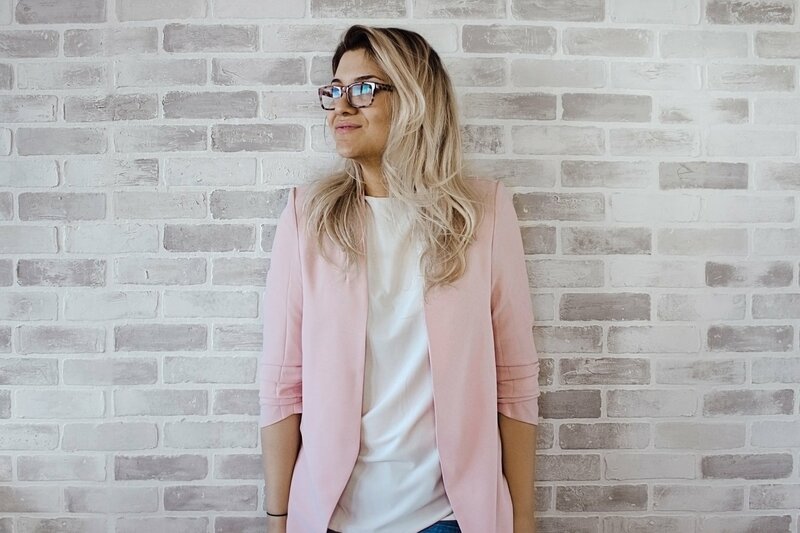 It’s really not surprising when you take a look at the reasons why, and hopefully this will inspire more women to take up trading. Studies have shown that men tend to take riskier bets when it comes to investing, and this would be fine if they also made money off their picks, however the majority of the time they end up losing money. 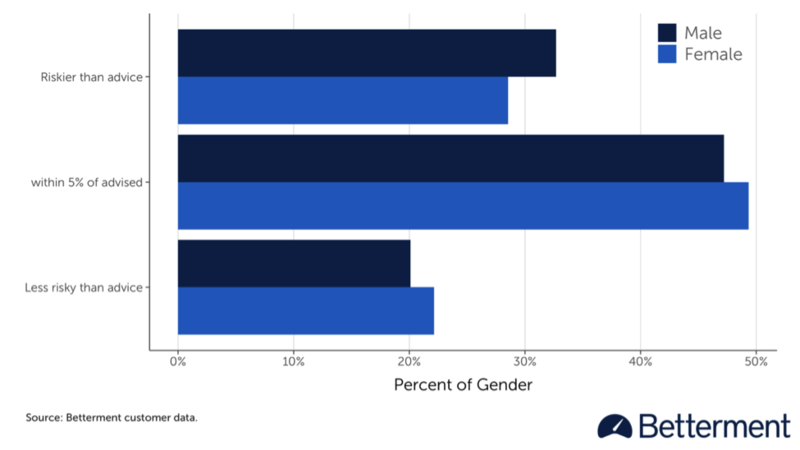 Data from Betterment.com shows that women are much more likely to adhere to risk-related investing advice while roughly 33% of men investors end up exceeding the recommended risk levels for their portfolios. Just set it and forget it: this should be the motto of every investor looking for long-term gains, but at the moment it seems to only resonate with women. The market fluctuates so much on a daily basis that is enough to make anyone sick. Believe me when I say, unless you have the stomach to watch your savings heavily drop in one trading session, you should never, ever, ever sit and watch how the stock market trades on a daily basis. Men tend to log into their brokerage accounts nearly twice as many times per week as women. This lends the opportunity for them to panic and makes irrational trades where if they just left their accounts alone they would see better returns. Another study from the Berkeley School of Business noted that men tend to trade 45% more often than women, and all of that extra trading actually causes them to have returns of a full percentage point lower than women. Since women still tend to outlive men, it is important for them to have a larger savings for the future. 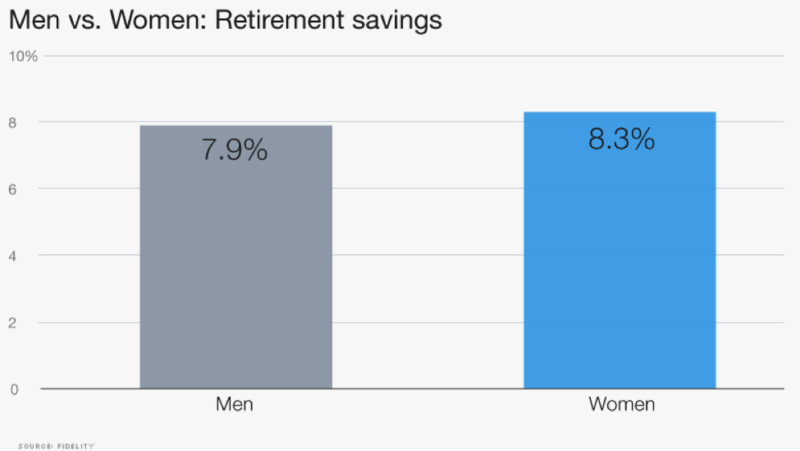 This is particularly evident when you consider that women typically save about 8.3% of their income for retirement while men only save about 7.9% of income according to Fidelity’s recent analysis of over 12 million retirement accounts. This difference may not seem that big from a number perspective, but consider that the median U.S. household makes about $50,000 per year. If you apply these savings rates to the median income that means that women save about $200 more every year than their male counterparts. This means that over the course of their careers, women will save about $10,000 more than men. Talk about Girl Power! !